Something I have been waiting way too long to do. 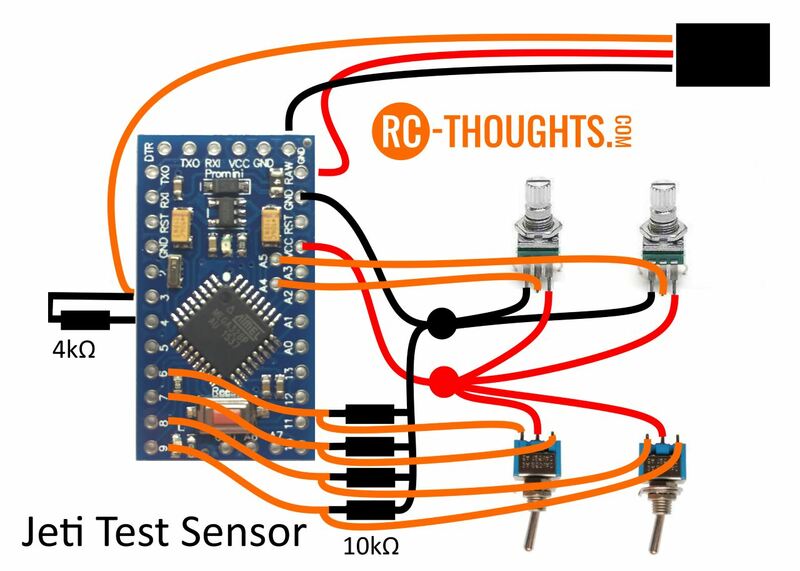 A test sensor to make life a lot easier when making Lua-apps for example. When making Lua-apps or testing telemetry-dependent functions it would be so nice and easy to have a sensor where values could be changed in a second. I know, you could always get out and fly but that is very slow way to do some Lua- or telemetry testing. So, let’s make a sensor we can simulate a lot of values with! NOTE: Some boards have GRN where my boards have GND for the receivers black cable. Do NOT use GRN, use GND! If you wan’t to use Arduino Nano, read this post. Go and get the RCT-Test.ino file from my Github here. You need to use the libraries included in Github repository. 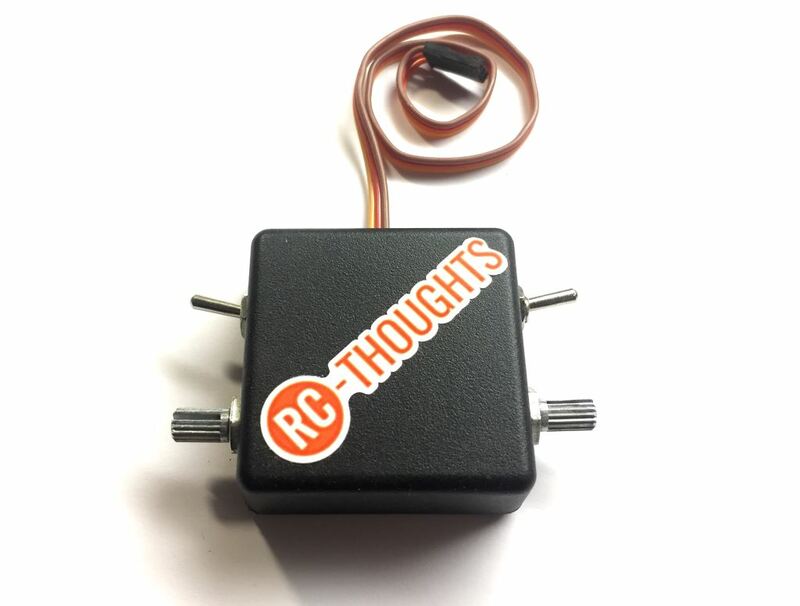 For info on how to use these look in RFID-sensor how-to here. For simplicity there is also ready .hex files to use with XLoader. Set up Jeti Test Sensor? 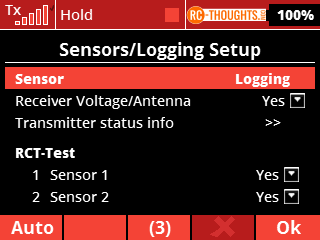 You can now use these sensors in your apps, test functions etc with ease. Power up a transmitter, connect the Jeti Test Sensor to it and off you go. Test as long as you want without worrying of battery- or flight-time or safety of your model. Since we have different value-ranges in real life we need them here too. Battery voltages are something like 4 to 60 Volts, capacity is usually a few thousands and so on. That’s about it, easier app-developing, function testing! Enjoy!